My piano teacher is a student of Koichi Tohei sensei and also one of the famous pianists in Japan. On the other hand, I was not such a brilliant piano student :) However, what she taught me is very effective now. She allowed me to realize many things. I would like to tell you two things that I learned from my piano teacher. One is to know my own state of mind before playing piano. Though I play piano the same as usual, the sounds of the piano are changed by the state of my mind. Therefore, before I play piano, I check the state of my mind, and then I start to play the piano. “Mind moves body”. So, state of mind is reflected in the sound of the piano. I apply this realization to Ki-Aikido. Even though I do Ki-Aikido techniques the same as usual, the technique will be changed by my state of mind. Therefore, before doing a technique, I check the state of my mind and only then do techniques. The state of mind is reflected in all techniques. I practiced it thoroughly. And after that, my Ki-Aikido techniques became completely different from the past. Another realization is to relax correctly. When I touch the keys with relaxation, the sound of piano is very clear and beyond expression. When I touch keys with muscles or losing Ki, the sound of the piano becomes unclear. When I play piano at a contest in a large hall, clear sounds reach to every corner of the hall. Unclear sounds cannot reach as far. I apply this to my Ki-Aikido now. When I do techniques with relaxation, there is a natural rhythm, and the movement looks large. When I do techniques with strength or losing Ki, there is no rhythm and the movement looks small. Ki-Aikido and piano are very different, but they have a lot in common. About ten years ago, Tohei sensei was interviewed by an overseas newspaper company. The newsperson asked Tohei sensei why Tohei sensei let his successor learn to play the piano. Tohei sensei just said, “To let him master oneness of mind and body”. You cannot master Ki-Aikido if you only practice the movement of the technique. When you master oneness of mind and body, you can do techniques. Learning piano was to understand oneness of mind and body. Tohei sensei let me learn piano because I was interested in playing piano. So, if I was interested in something else, he might have let me do something else. Fortunately, I could meet the best piano teacher. And I was taught oneness of mind and body through piano from a different angle. At that time, I also learned Sado (the way of tea) and Nihon-buyo (Japanese dance) besides Ki-Aikido. And I played in the yard vigorously. All of those experiences became my foundation of oneness of mind and body. During the Las Vegas seminar, there was no seminar during the night. I fostered a closer relationship with members and sometimes went to the bar. The banquet was held one night. I am very surprised each time, but the US Chief instructors are great entertainers! Besides Ki-Aikido, each of them has professional skills. They performed them at the banquet. After the Las Vegas seminar, the committee staff took us to the "BLUE MAN GROUP" It's very famous in the US. The show was so bizarre that we could not imagine it in Japan. I was chosen from hundreds in the audience to go up on stage. I was almost crying :) I was chosen so often in this kind of show. After all, there was nothing extreme about me, but other people who were picked out were very extreme. Well, Las Vegas is well known for casinos. I tried the slot machines for just a short time. First time, I bet $1 on the slot machine at the hotel, THE hotel at MANDALAY BAY. $1 became $70. In addition to that, I tried slot machine at the airport because our airplane departed late. I bet a few dollars but it became $67.75. My wife said "When you win, it is time to stop". Therefore, this was the end of my casino experience. I spent about 10 minutes at the casino. But I could increase my money. It was just like Las Vegas that there are slot machines inside the airport. Besides the seminar, I had a really good time. I really appreciate all the committee staff. More on "Put yourself in your opponent's place"
I told you that to "Put yourself in your opponent's place" means to "move into action" in last weeks weblog. And it is not just an idea. I have received a great response from many people. And they all wanted to know how to apply this in their daily life. Therefore, I will tell you more about how to "put yourself in your opponent's place". The specific action of "putting yourself in your opponent's place" is to understand and know your opponent. I am sure that you know some people whom you think are disagreeable individuals. If a person says something negative, or is unconcerned about you, or steps on your goodwill, you will not want to be around this person. If you do not have to socialize with this person, you might not need to see them, but most of the time, these disagreeable individuals are your boss or your neighbors, and you cannot escape from interacting with them in your daily life. It tends to be very stressful if we have to spend time with disagreeable people. We will do our best to spend less time with these people. We even try not to speak to them. However, this is the best way to make human relations worse, because avoidance means not sending Ki to the other person. And this means a definite breakdown in communication. As a result, it will become very difficult for you to understand the disagreeable personﾕs mind. If you do not send Ki to this person, then you cannot realize anything about them. However, instead, we can apply the principle of "Putting yourself in your opponent's place". It is important to send Ki to another even if you do not like that person. The specific action is to know the person by sending Ki. By sending Ki, we can know the person's background, their beliefs, and their state of mind. If you understand these things, you will naturally understand why the person says or acts a certain way. Once you start to understand the person, you will have breadth of mind even if that person has not changed. In other words, this does not mean to change the other person, but to change yourself. As a result of this change in yourself, the personﾕs mind and actions will become plus gradually. I have seen many cases like this. This is one example of the Universal mind. Let's confirm the point which is easy to misunderstand. First, "change yourself" does not mean that you start to love a minus thing. The real meaning is to accept the minus and change it into plus. If you feel minus is plus, it is a problem. Second, even if you do your best to understand the disagreeable individual, but the person never changes, you can choose not to go out with the person. If you know this, you will be able to have breadth of mind and you can always make your best effort. Do you understand yourself well? This is the story that I witnessed when I rode the super express train from Tokyo to Utsunomiya. recently. A father and a daughter were talking. They became a little bit emotional. Daughter: "I am worried about your health, father." Father: "You do not have to worry about me!" Father: "I understand myself best!" When I heard the conversation, I wonder if we understand ourselves best. People often say, "I understand myself best." When our mind is calm, we can feel and see things as they are. Koichi Tohei sensei said this in the Ki sayings: "Like the calm, still surface of the water, that reflects the moon and a flying bird, true living calmness is the condition of our mind that reflects all things clearly." When our mind become calm, our mind reflects as it is like still surface of the water. However, once our mind is disturbed, itﾕs like a ruffled surface of the water, you will not see anything correctly. If you want to understand yourself well, you need to calm your mind. When we become emotional, we do not realize that we are now emotional. Therefore, we cannot realize our own mistakes, and we believe that our own decision is the best. Then, we start to criticize others or we do not realize our words and behavior have become separated. The fundamental of communication is to understand yourself well at all the time. So, how we can calm our mind? One way is to do Ki breathing. By doing Ki breathing, we can change our thinking from minus to plus. When you get nervous, small things will affect you greatly. This leads to other nervousness. When we do Ki breathing, our breath becomes calm. If our breath becomes calm, we can feel things correctly as it is not exaggerated. Another way is to change your way of thinking as I wrote in June 2nd article. We can perceive the same event in both a plus and minus way. It is difficult to control the event, however, we can control our own mind. It is important to not feel the event as stressful. "I understand myself well" If you said this sentence, please be careful. I am always checking if I understand myself correctly. I have received many remarks about this weblog from the readers of Ki society mail magazine. Half of those readers study Ki-Aikido. Therefore, I will talk about relationship between Oneness rhythm exercise and Ki-aikido. Oneness rhythm exercise is essential for the people those who study Ki-aikido. However, many of those people think that Oneness rhythm exercise is one thing and Ki-Aikido is another. Therefore, limited Ki-Aikido students study Oneness rhythm exercise positively. When I was a University student, I belonged to Ki Aikido club of the Tokyo Institute of Technology. My teacher was Yutaka Otsuka sensei and he taught us at least once a week. Besides Otsuka sensei's class, our club had practice six times a week. I practiced Ki-Aikido more than 20 hours per week. Therefore, I felt that it is not necessary for me to study Oneness rhythm exercise. 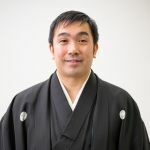 After graduated the University, I became Uchideshi(apprentice) of the Tohei sensei. Once I became Uchideshi, I could not refuse to study Oneness rhythm exercise! (*laugh*) Naturally I started to practice Oneness rhythm exercise everyday. After two weeks of practice, I perceived a change of myself. - I could feel tension of my body. - I endeavored to do correct rhythm, I could relax in each motion. - I was able to understand my teacher's teaching more deeply than before. Oneness rhythm exercise made so much difference to my Ki-Aikido movements. We learn many things from our teacher in daily life. However, we understand it in our own way. Sometimes we tend to think, I have already understood Ki principles well. Once we think "I have understood", our development stops even we receive teachings from our teachers. However, we can find and correct our bad habit and misunderstanding through learning and practicing Oneness rhythm exercise.! If there are students who are going to take Dan promotion test, please attend Oneness rhythm seminar to check if your understanding is in your own way or not. I think that studying Oneness rhythm exercise is the fastest way to pass the promotion test. In the past, many of those Ki-Aikido students attended the Oneness rhythm exercise seminar because their teacher told them to go. However, after attended the seminar, they remarked, "I understood how much I did not relax! ", "My view point changed completely! ", "I understood what my teacher really taught me always!". Oneness rhythm exercise seminar will be held at Ki no Sato, Tochigi in March. Let's study Oneness rhythm exercise together!